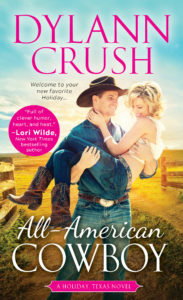 This city boy has it all figured out... Until he goes toe-to-toe with a fierce cowgirl who's snagged the home field advantage. Holiday, Texas is known far and wide as the most celebratory town in the South—and no shindig is complete without one of its founding members. It's a real shame the last remaining Holiday is a city slicker, but what's that old saying about putting lipstick on a pig...? 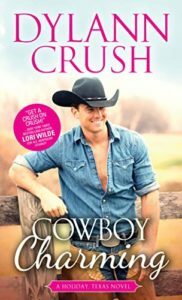 Beck has no intention of being charmed by some crazy Texas town, but the minute he lays eyes on his grandfather's old honky tonk—and Charlie Walker, the beautiful cowgirl who runs it—he finds himself wishing things could be different. Life's gentler in Holiday. Slower. More real than anything he's ever known. And when he looks into Charlie's eyes, Beck may finally discover what it's like to truly belong. Merry Christmas from your new friends in Holiday, Texas: The most celebratory town in the South! When Jinx Jacobs's motorcycle breaks down outside Holiday, Texas, the last thing she wants is to get stuck in the cheery little town, especially during the holidays. The whole place has gone Christmas crazy, but all she has to do is stay out from under the mistletoe—and do her best to keep that unnervingly attractive cop off her back. Single dad and sheriff's deputy Cash Walker doesn't have time for romance, and yet something about the tempting loner twists his stomach up tighter than a tangle of tinsel. He may have finally found the missing piece in his life...but with Jinx so determined to avoid putting down roots, convincing her to stay may just take a Christmas miracle. They call him Casanova. But can this charming devil of a cowboy teach a good girl how to change her ways? Small-town preacher's daughter Dixie King is used to having a lot on her plate. Keep tabs on her flighty grandmother? No problem. Handle the honky tonk's first ever Chili Cook-Off? In the bag. Vamp it up to charm a would-be developer into leaving Holiday, Texas for good? ...now there she might need a helping hand. 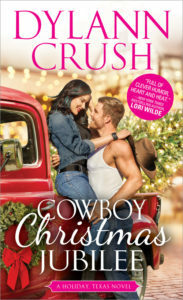 Enter Presley Walker: Holiday's own Cowboy Casanova and the perfect tutor for a good girl looking to go bad. He's got charm in spades, and he's always seemed like a terrible idea waiting to happen. But as Presley and Dixie work together to save their beloved hometown, these polar opposites might finally see the good in each other...if they can only learn to trust their hearts enough to fall.